Liberator XE | PKA Associates, Inc. 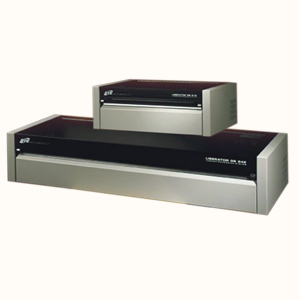 The high performance, 1200 dpi Liberator XE Wide-Format Thermal Imagesetters enable you to produce superb quality film separations right in your own shop—without a darkroom, without a processor and without chemicals. EXILE helps you to deliver those more demanding jobs efficiently while producing full-size film up to 54 inches wide. That is about 4 times bigger than other conventional products currently on the market. EXILE’s thermal imagesetter technology offers clear, compact, environmentally friendly solutions to artwork production, enabling you to eliminate outsourcing of large-format films and bring production control in-house. EXILE’s unique, chemistry-free, dry-imaging ThermoImpression® film requires absolutely no fixers, developers, inks or toners while providing UV densities that exceed industry standards. 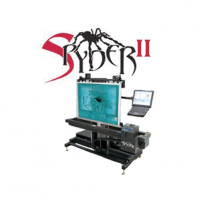 The Liberator XE Series is built using EXILE’s innovative and proprietary technologies, including: Closed Loop Registration (CLR) control for accurate registration overlay, Multi-Level Pulsing (MLP) for superior dot quality, and Enhanced Nib Management (ENM) to provide smooth, high-quality images every time. 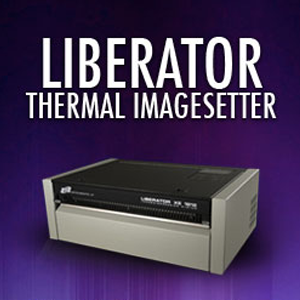 Liberator XE ThermoImpression Systems include a Harlequin® ScriptWorks® RIP Management System available on either a PC or Macintosh platform. This forward thinking, trouble-free fully featured RIP is PostScript compatible and is fully compliant with PostScript LanguageLevel 3 specifications, the latest version of the PostScript page description language (PDL). 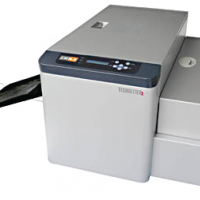 Each system includes media saving functions and can be customized with trapping, proofing, and specialized screening to fit your requirements. The bottom line: accurate registration, higher performance, versatility and flexibility. Be the first to review “Liberator XE” Click here to cancel reply.